Horse Spout is a luxury, single-storey property located close to Backbarrow in the Lake District, Cumbria. The three bedrooms in the cottage all boast en-suite facilities and are made up of two double rooms, as well as a twin, it can sleep six people altogether. 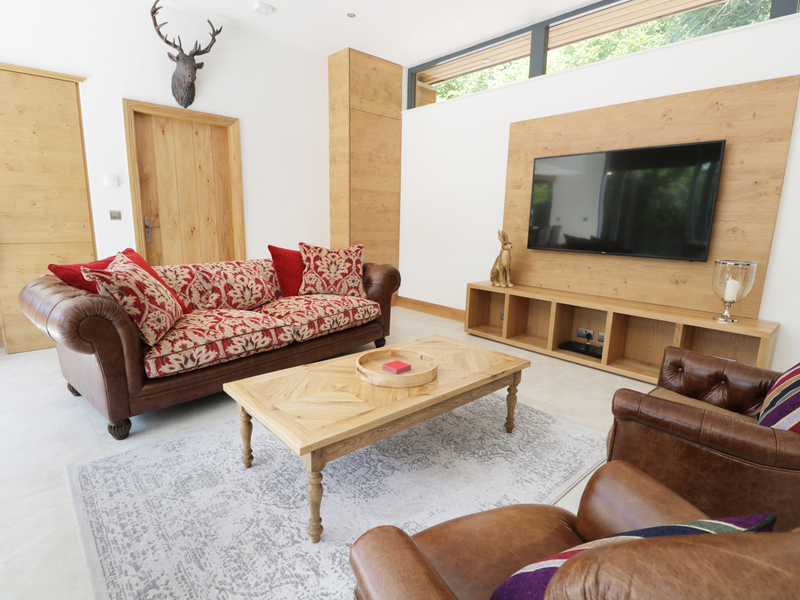 Its interior also includes an open-plan living area including a kitchen, a dining area and a sitting area with a woodburning stove. 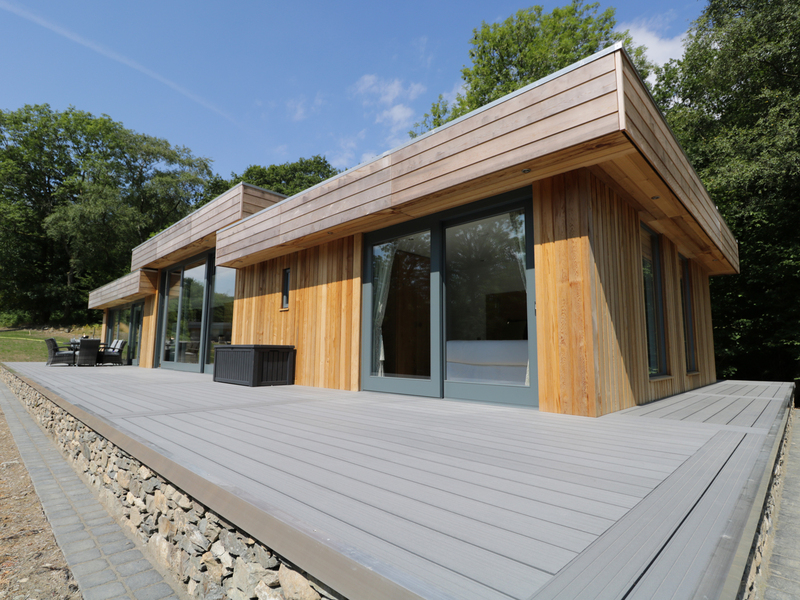 Externally, you will find plenty of off-road parking, as well as a decking with furniture and a private hot tub. Horse Spout is a superb retreat for families and friends looking to explore the Lakes. Gas central heating, woodburning stove. Electric oven and hob, microwave, fridge/freezer, washing machine, dishwasher, Nespresso machine, 4 x Smart TVs, WiFi. Fuel, power and starter pack inc. in rent. Bed linen and towels inc. in rent. Highchair and travel cot available on request. Ample off-road parking. Decking with furniture, private hot tub. Sorry, no pets and no smoking. Shop and pub 2 miles.Note: Fly fishing available on-site, environmental licence required. Fishing free for one rod on a catch and release basis, at extra cost for more rods and there's an extra cost if you wish to keep any of the fish. Note: Due to fly fishing lake on-site, children must be supervised at all times. Note: WiFi is suitable for general browsing only, not downloading or live streaming. Note: Max 6 people, plus 1 infant. Note: Check-in 4pm. Note: Guests need to provide their own coffee pods.